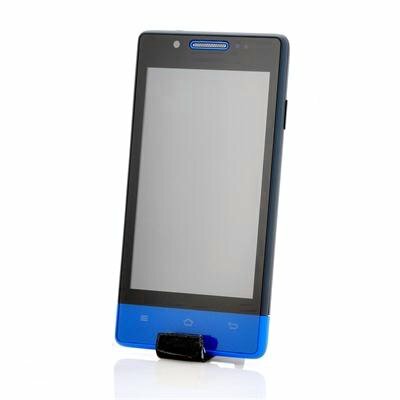 Successfully Added Budget 4 Inch Screen Android Phone "Cubot C9" - WiFi, 800x480, Unlocked Dual SIM (Blue) to your Shopping Cart. Budget 4 Inch Screen Android Phone with WiFi, 800x480 resolution and unlocked dual SIM is the wholesale answer to having a cheap but diverse cell phone. The “Cubot C9” comes completely unlocked and can hold 2 SIM cards at the same time, letting you choose from which number you text or call without having to reboot the phone. What makes the “Cubot C9” stand apart from other mobile phones is the way it balances it’s specifications against the price without substituting any of the design or style. Furthermore this dual SIM Android phone comes with both a front and back cameras, allowing you to capture a picture or shoot a video. There are the usual functions such as Bluetooth and Wi-Fi connectivity as well as a mini SD port that can support an additional 16GB of memory on the current 256MB of internal memory. With a great design and at an awesome price the “Cubot C9” phone really is an useful full functional device. This product is in stock and can be dispatched within 24 hours of ordering with a 12 month warranty. Brought to you by the leaders in wholesale electronics and Android phones, Chinavasion. When connected to the PC, please note the internal memory can not be read. Please insert a Micro USB card if you whish to read data.